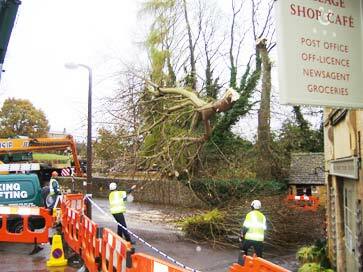 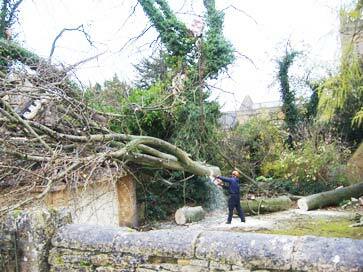 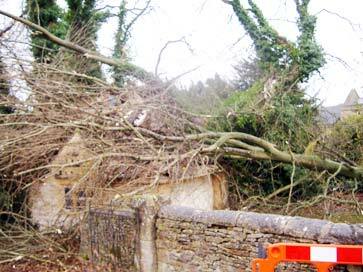 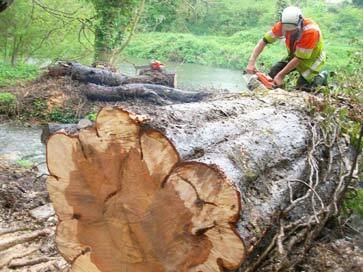 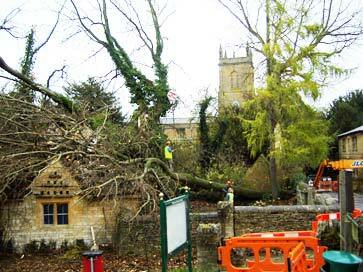 We offer a 24hour call out for storm damaged trees and we already supply this service to Gloucestershire County Council and Gloucestershire Highways/Atkins this enables for the highways to be kept clear and safe. 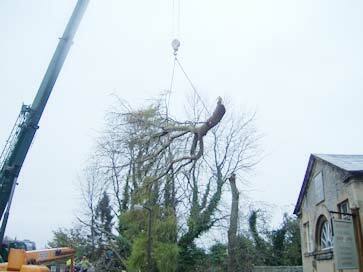 The service we offer also extends to private clients and local authority. 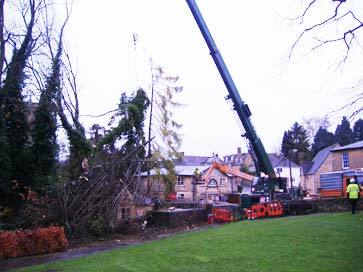 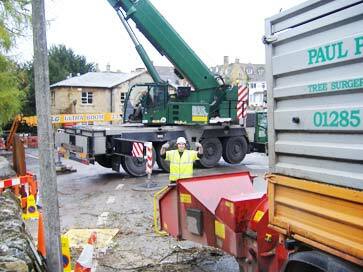 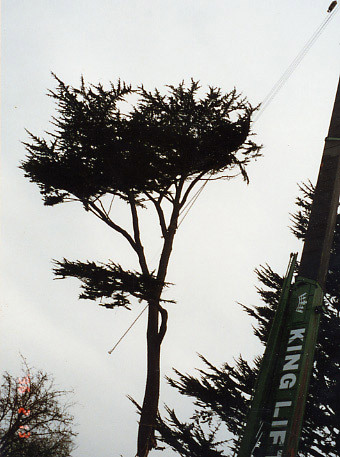 Photo: crane lifting the tree top which had snapped and got lodged in storms. 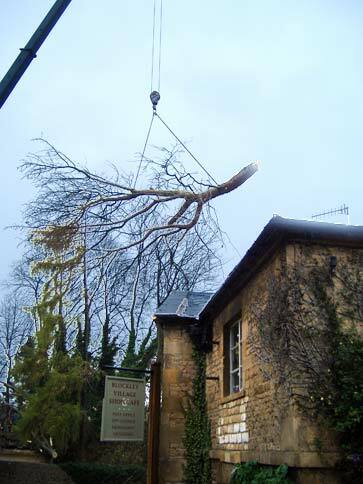 These pictures show an emergency job where 2 Poplar trees had fallen onto the building and with use of a crane and work platform the trees were removed safely.